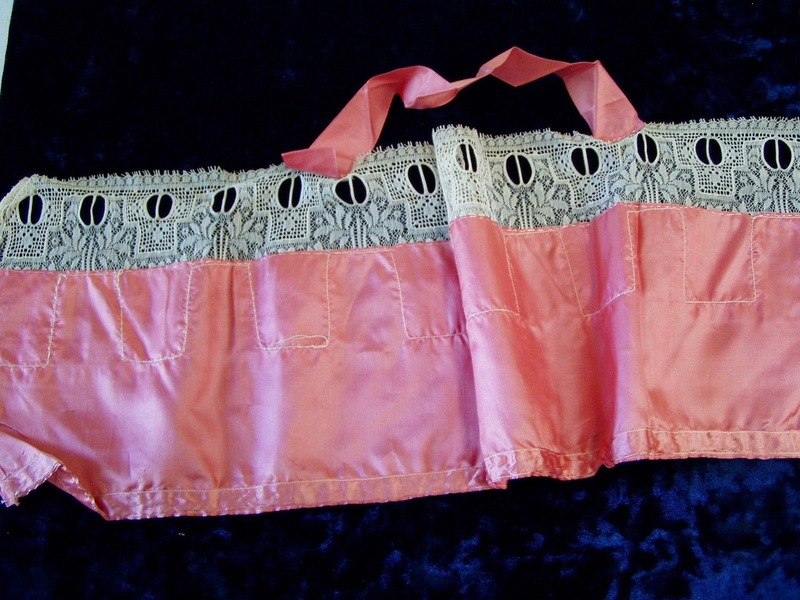 •Antique Bobbin Lace trimmed Bra Camisole or Corset Cover. •Natural or Ivory color bobbin lace trim. Very pretty and elaborate design. 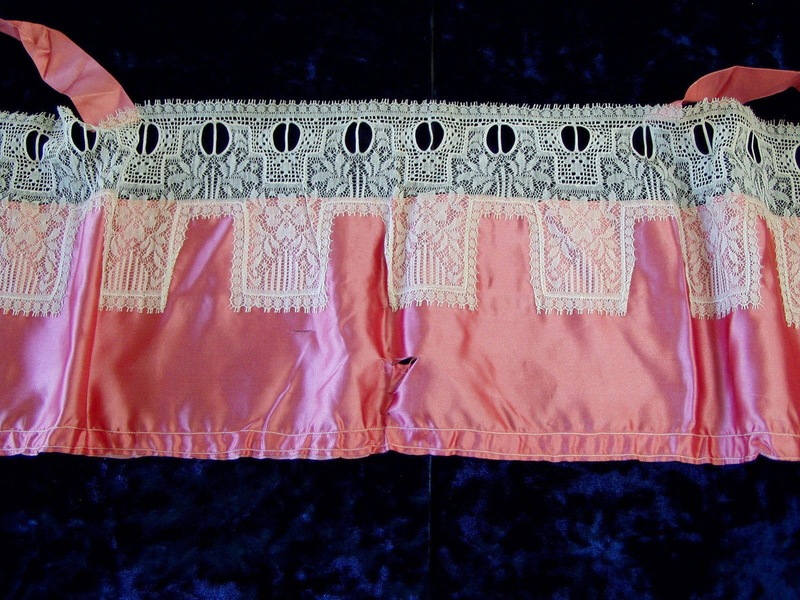 •Rose color bodice material looks & feels like silk. •Straps are rose color ribbon. •Approximate Sizes: Bottom Opening 52". Top Opening (Lace edge) 52". Arm Straps 11". 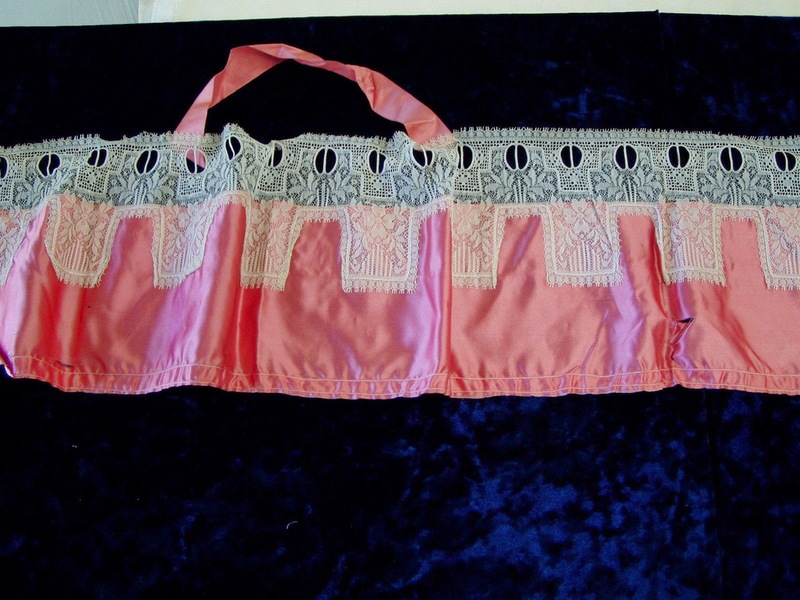 Sizes are measured from the outside with garment lying flat. •Very Good to Excellent Condition. 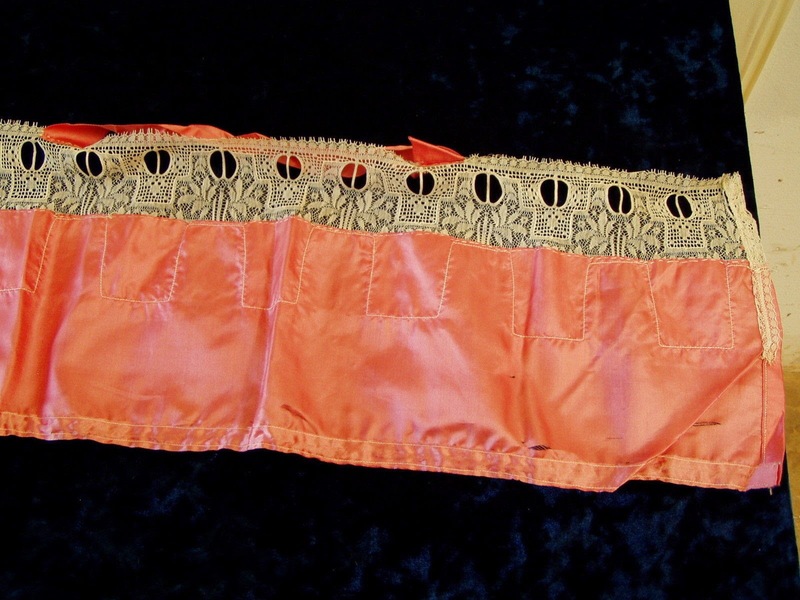 The silk material and the ribbons are starting to deteriorate and have a lot of thin areas and holes. 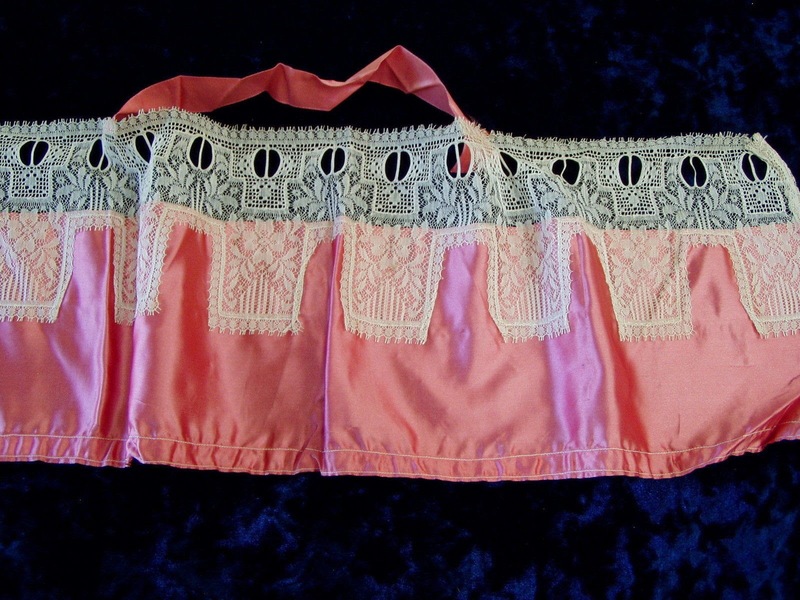 The lace is terrific, no holes or stains. Please look over the photos carefully, they are a part of the description. I try to point out through photos and/or description any flaws present. Feel free contact me with any questions or to request specific photos before bidding. I will get back to you as quick as I am able. Thank you. This, most likely, was gathered to a slip.